At NMX 2014, we’ll be presenting several Super Sessions, which are longer and more in-depth sessions to kick off our Blogging, Podcasting, Web TV, and Business Tracks every day. 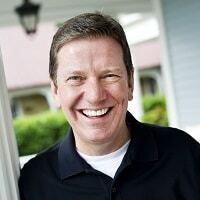 Today’s Super Session Spotlight is all about Michael Hyatt, who will be presenting “5 Elements of a Powerful, Personal Brand” in the Podcasting Track on Day One. Michael Hyatt is the author of the New York Times, Wall Street Journal, and USA Today bestseller Platform: Get Noticed in a Noisy World. His blog also helps thousands of people learn to become better leaders through leveraging their influence. So, who better than Michael to speak about developing your personal brand? We’re excited to be welcoming Michael to the stage at NMX to present the Super Session “5 Elements of a Powerful, Personal Brand.” Get your ticket to the show here if you haven’t already! I also want to encourage you to check out this podcast episode with Michael (and one of our other awesome speakers, Chris Ducker) about the topic of personal branding. And of course, definitely check out Platform: Get Noticed in a Noisy World, Michael’s latest book. Why are we bringing Michael back to the NMX stage? 1. He does it all. We’re a conference about blogging, podcasting, web TV/video, and social business. Michael is a master of all four. He writes a wildly successful blog, releases a new podcast episode every Wednesday (in addition to being a guest on others’ podcasts), records video interviews with experts like Guy Kawasaki, and is former Chairman and CEO of Thomas Nelson Publishers, the seventh largest trade book publishing company in the U.S. Is there anything this guy doesn’t do? 2. He made the transition from old to new. Our conference is all about new media, with respect to older media like traditional publishing. Unfortunately, it can sometimes be like pulling teeth to convince people in traditional media that Twitter, podcasting, and other online activities have merit. Michael has traditional publishing routes, yet fully embraces new media, and we love that about him. 3. You’re going to walk away feeling inspired – and with awesome tips you can put into effect immediately. Motivation is important, but at NMX, we always strive to give you speakers who will not only inspire, but also give you actionable tips to implement. Michael delivers on both fronts. You can expect to walk away from his Super Session feeling motivated to make position changes and with sound advice on how to make those changes happen. Will you be in the audience for Michael’s talk at NMX? If you don’t already have a ticket, make sure to secure your seat here! Michael will also be talking later in the conference on a Podcasting Track panel, so if you come to the show, you have the opportunity to hear him speaker twice. Hope to see you there! I’m a fan of Michael! Because he is a writer, his messages resonates with me, a figurative painter, a lot. We’re all in the creative field.